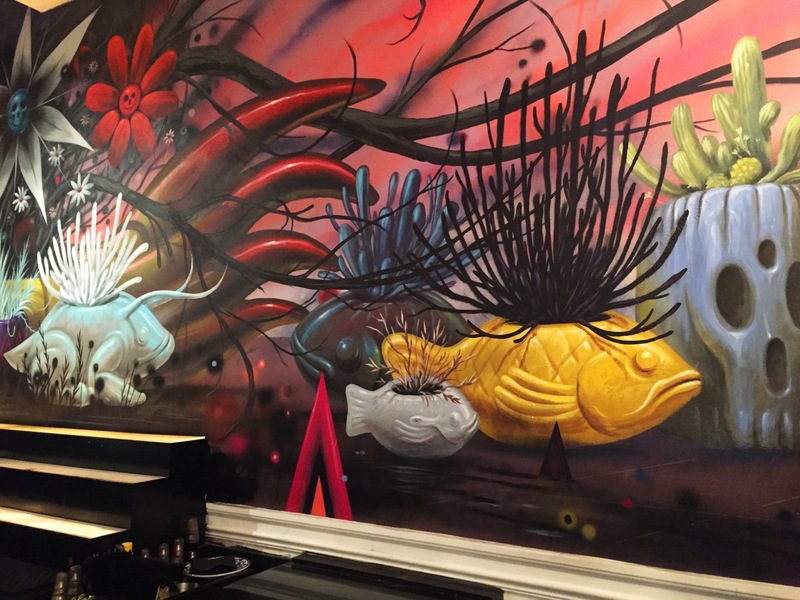 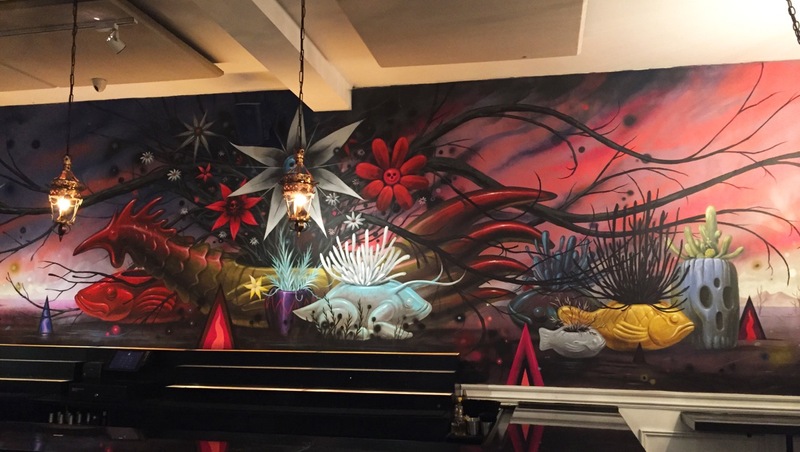 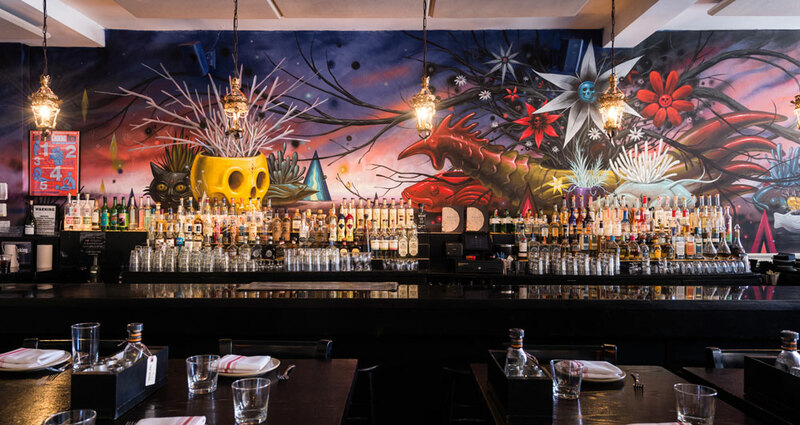 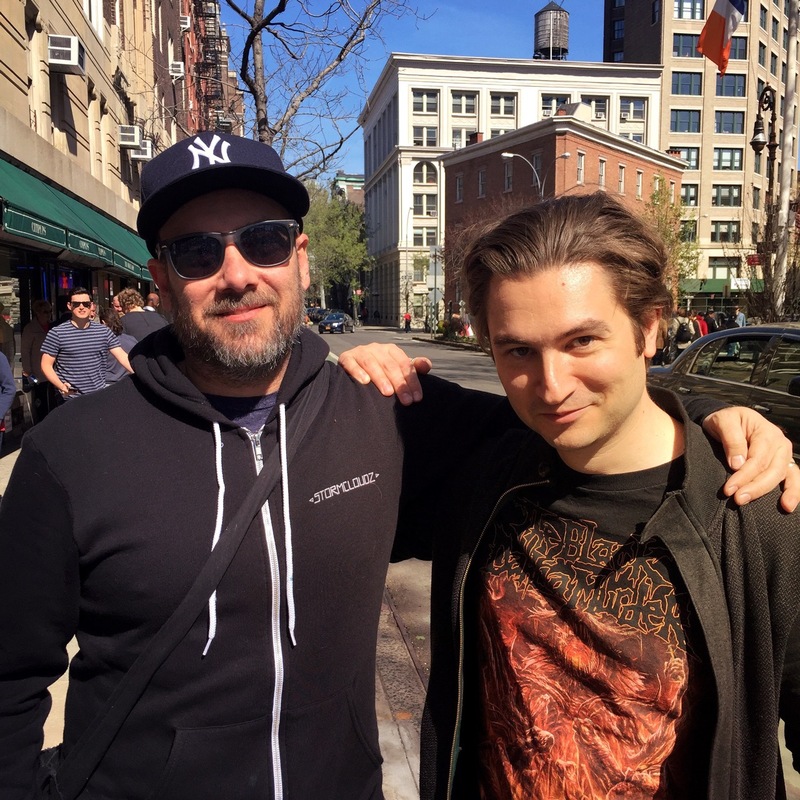 Earlier this month, Jeff Soto (interviewed) painted (with the assistance of his brother and sister-in-law) an impressive two-wall mural at Empellón in New York. 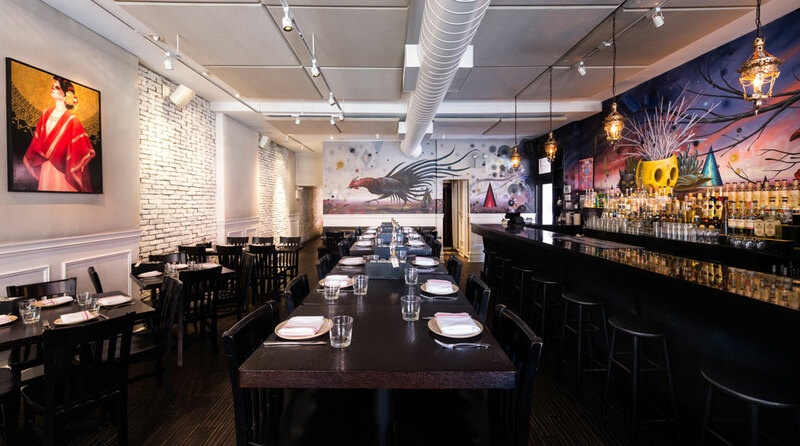 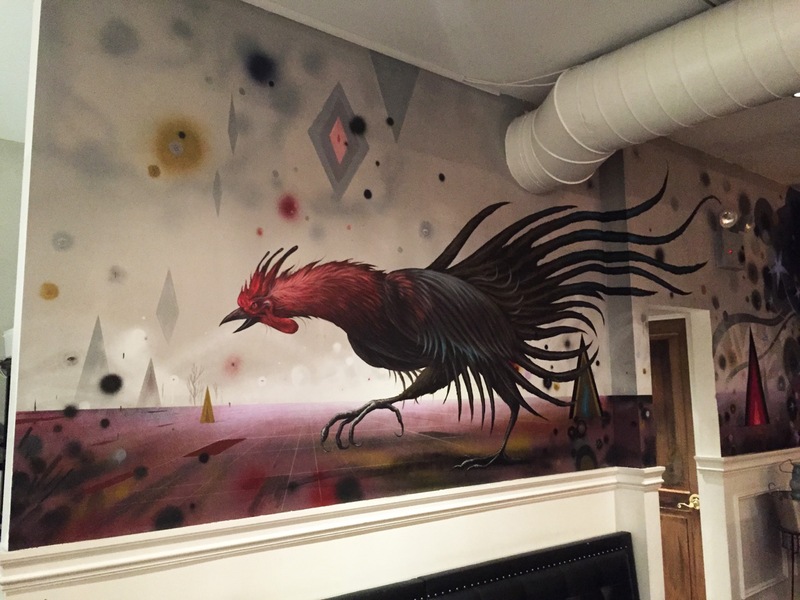 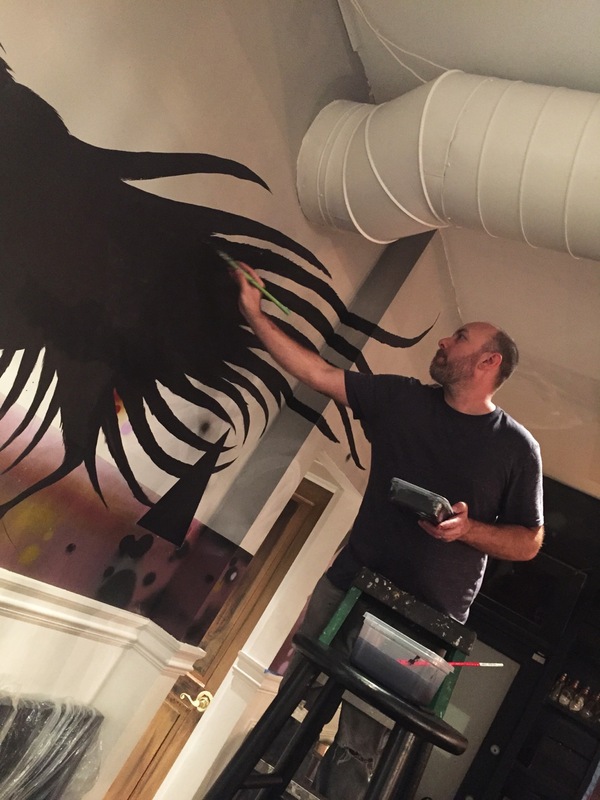 Invited in by one of his long-time fans and chef Alex Stupak (seen below) to infuse his surreal imagery onto the walls of his West Village outpost, the California native chose to highlight the rooster as well a group of pottery growing imagined plants and succulents. 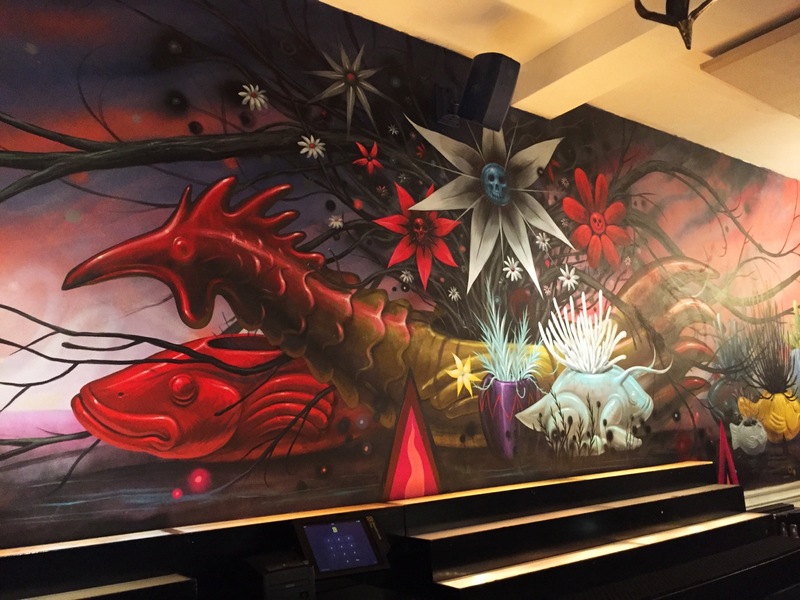 The artwork was part of a remodel of the taqueria is largely symbolic, with themes of family, life and death, and nature. 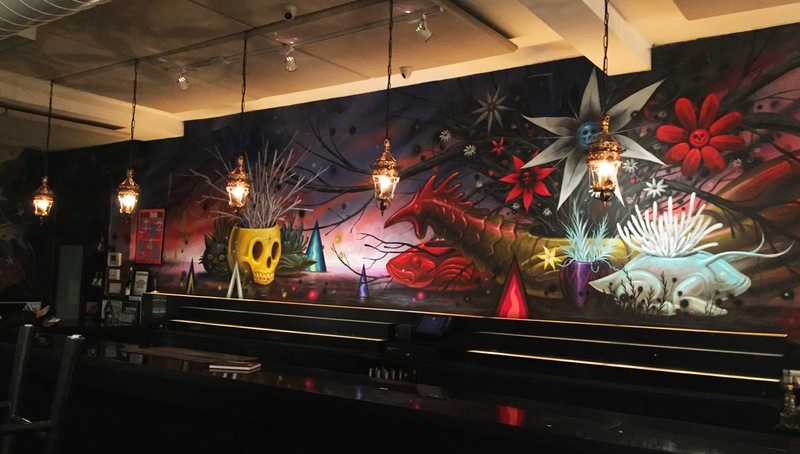 Realized over the course of eight long nights, it was one of the more challenging projects of Soto’s career, so stop by to enjoy it as well as some tacos if you are in the area.